And then you realize that, man, we just didn’t play them a lot until the 80s and, really, the 90s. But I don’t think I really realized how little we played them back in the day until trying to gather the Phil Neel vs. LSU programs. There are two of them. In 17 years worth or programs. So two Neels equals four games, right? 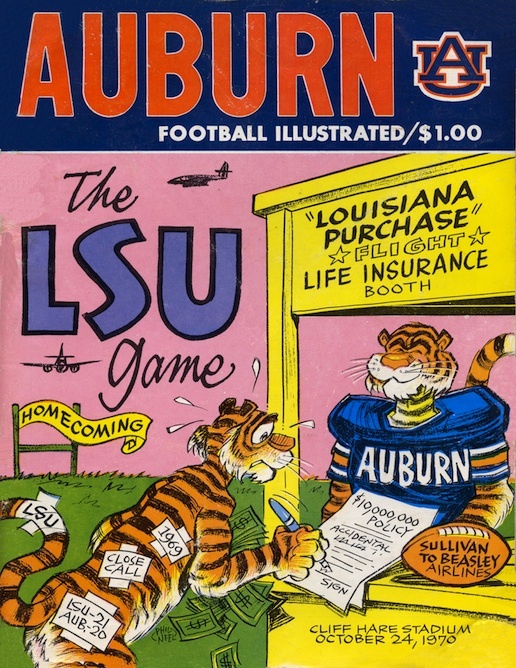 Right, four games against LSU from 1959 to 1976. We lost them all. You can see that Aubie doesn’t like it any more than I do. Covers courtesy Clyde Kingry. You can check out our growing Phil Neel archives here. 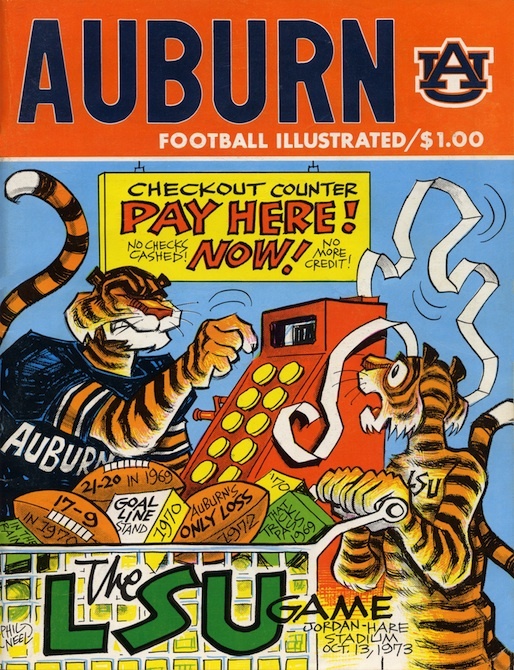 Related: The Night They Weren’t Amazin’: Never-before-seen photos from the 1972 Auburn-LSU game.